Hey! Gather your friends on FB and introduce them to Viwawa Texas Hold’em! 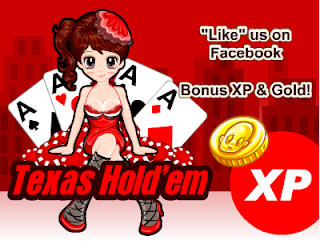 Starting from July 7th – July 21st, help increase number of “Likes” on Viwawa Texas Hold’em Facebook page to unlock 5 days of bonus XP and gold for various Viwawa Games! Why there's no Defcon1 + Ex & Gold?